ALLEGRA BOVERMAN/Staff photo. Gloucester Daily Times. 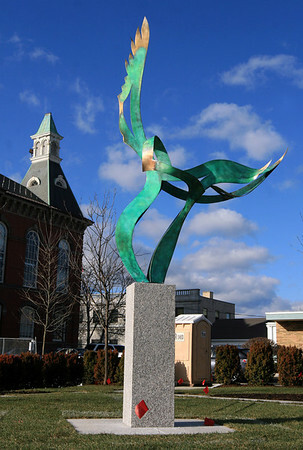 Gloucester: A new sculpture has been installed on Thursday morning at the new Cape Ann Sculpture site next to City Hall.